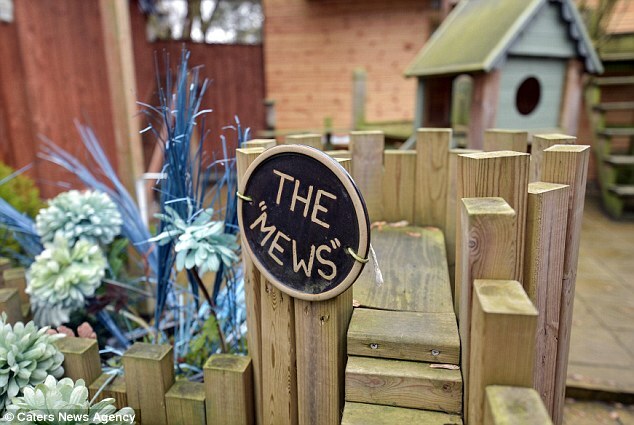 Mail Online 27 March 2016: A luxury hotel for rescue cats, nicknamed 'The Meow-maison' has cost its owner £430,000 - and even provides Sky TV for the pampered felines. Jane Lynegar, 54, from Swanwick, Derbyshire, has taken in over 3,000 unwanted cats in 23 years but had to build a separate bungalow in her back garden just to accommodate them all. 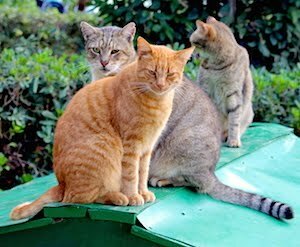 And although the cats who frequent the self-styled hotel live in luxury - with Sky television and a kitchen complete with dishwasher and washing machine - Mrs Lynegar and her husband Paul, 58, even have 15 live-in cats of their own. On average, Mrs Lynegar has rescued 150 cats a year and while she originally had a shed to keep all of her charges Paul, a technical director, built a...read on.